February 2014 was spent travelling central Europe with my high school best friend. It was all incredible, but the highlight was hands down the week we spent in Norway spread between Oslo and Tromso. Norway was hands down home to the kindest people. Being the budget backpackers that we were, our flight from Amsterdam landed well into the night- around 1am- and from Lillestrøm we caught the Flytoget train to Oslo Central Station. Although a relatively smooth trip until now, from here it was all uphill, both figuratively and physically. With fresh snow on the ground we left in search of our airbnb room. But in pitch black with slippery ice covering the tracks beneath us, this 20 minute stroll was significantly harder and longer than initially planned for. Luckily there were some friendly Norwegians also roaming the city streets that sent us in the right direction and thus we somehow managed to be in our cosy double bed with about 10 layers on soon after 2am. Let me now remind you that we are both native Melbournians who were not at all accustomed to the below 0°C temperatures of a Scandinavian winter; myself especially as I had just come from a common January heatwave in Melbourne. 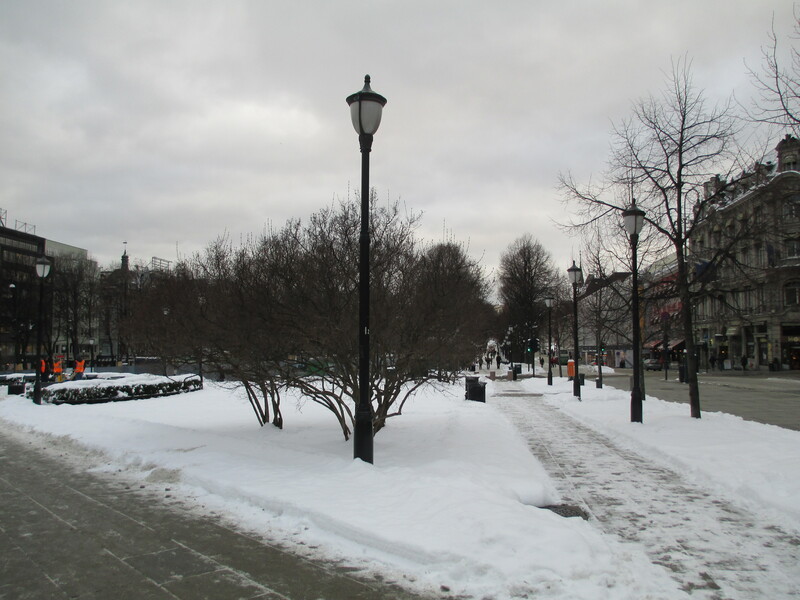 We woke early the next morning and had to rub our eyes over and again to make sure we weren’t living a dream, but were in fact in Oslo, Norway! Outside our window more snow had dropped over night, there was a white bliss completely covering the sidewalks. 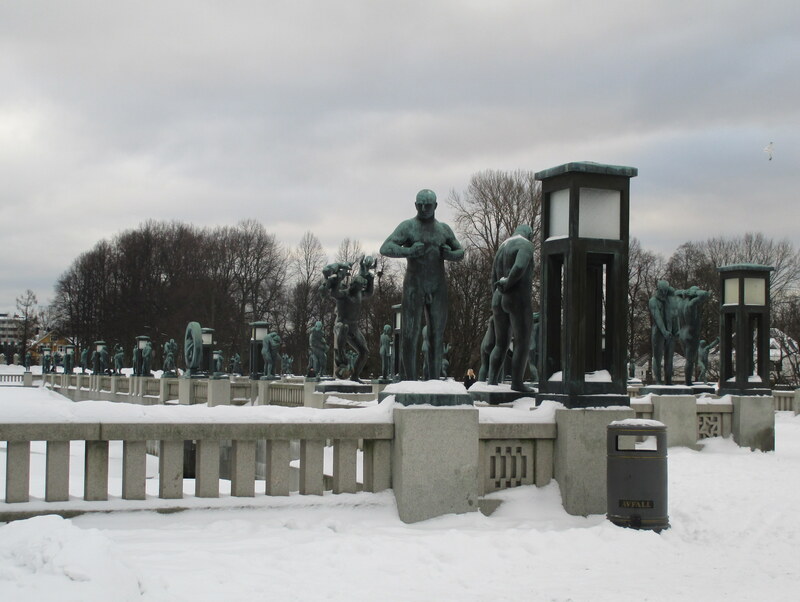 We began our sightseeing for the day, and soon enough we were lost again and needed some help with directions towards the magnificent sculptures in Vigeland Park, but rest assured a lady next to us at the lights was ever so keen to help us in the right direction. Anytime and anywhere we needed help there was always at least one person, usually many, keen to talk to the lost and confused Aussie tourists and give a helping hand. There is no doubt that it was thanks to these beautifully kind and helpful people that we felt so welcome and so excited about beginning our adventures in this unforgettable country. And the snow, that was also beautiful. Looks nice. Cold, but nice. 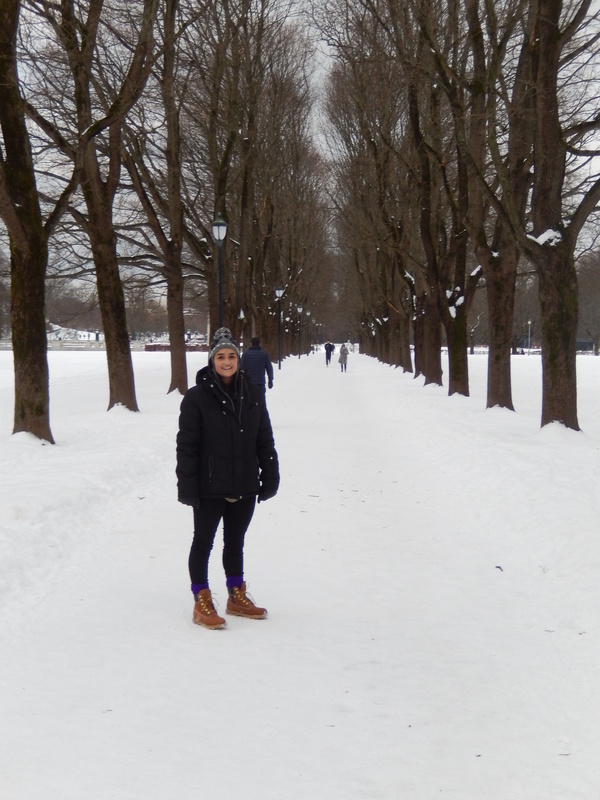 It was just incredible, if you’re ever in Scandinavia you must visit Norway!! My wife and I are thinking of going to Norway in February next year. Nice post, nice blog. I’ll be back 🙂 Thanks for sharing. It’s absolutely beautiful, let me know if you need anything and I’ll see what I can do!!! Head in winter for the northern lights, it was an experience I’ll never forget 🙂 thanks for reading! !